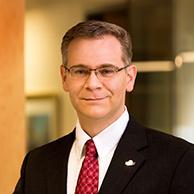 Stephen D. Kelson joined Christensen & Jensen in 2013 and became a shareholder in 2015. 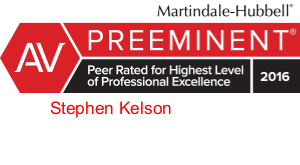 Stephen is an experienced, AV rated litigator, who has focused his practice on civil litigation, including commercial litigation, construction defect, professional liability, product liability, personal injury, as well as mediation. Successfully pursued case against accounting firm for negligence, resulting in million dollar embezzlement. 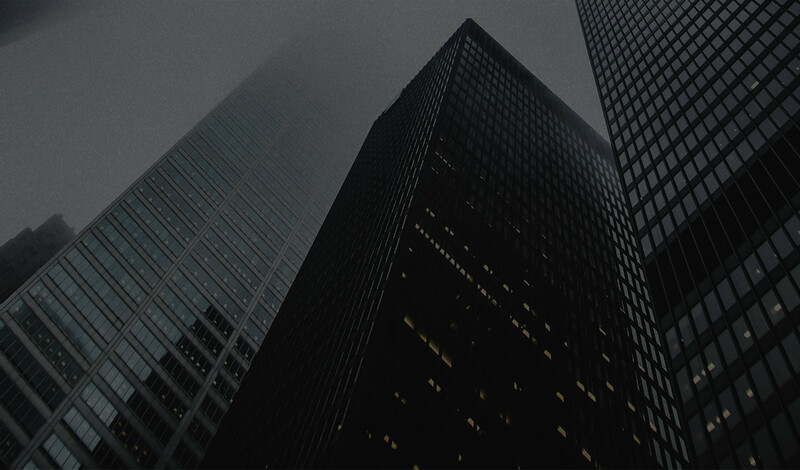 Represented design professionals against claims of negligent design allegedly resulting in property damage. Dispute Resolution: Mediations with Stephen are scheduled through Utah ADR Services, 801-943-3730, www.utahadrservices.com. He is a Qualified Mediator on the Utah State Court Roster of Mediators, and has obtained his Master of Dispute Resolution from the Straus Institute for Dispute Resolution at Pepperdine University's School of Law in Malibu, California. Speaker: Civility in the Face of Incivility, Utah State Bar and Utah State Bar Dispute Resolution Section, Salt Lake City, Utah, June 20, 2018. Speaker: Innovations in the Practice of Law, invited by the Utah Bar Association to co-present at the Innovation in Practice First Annual Practice Management Symposium, Salt Lake City, Utah, May 31, 2018. Speaker: Ethics and Professionalism in Mediation, invited to present to the Basic Mediation course (Spring Semester 2018), J. Reuben Clark Law School, Provo, Utah, April 4, 2018. Speaker: “Yeah, That’s Not an Apology” invited to present to the Basic Mediation course (Spring Semester 2018), Utah Valley University, Orem, Utah, April 3, 2018. Speaker: Effective Remedies to Combat the “Rambo” Litigator, invited to present to the Southern Utah Section of the Utah Council on Conflict Resolution, St. George, Utah, March 29, 2018. Speaker: The Application of Alternative Dispute Resolution, invited to co-present, Alternative Dispute Resolution Society, J. Reuben Clark Law School, Provo, Utah, including Nini Rich and Joshua King, November 7, 2017. Speaker: The Future of Utah’s Legal System: Expanding Access to Justice, invited to present to Kiwanis Club of Salt Lake City, Utah, July 20, 2017. Speaker: Good Faith Negotiations: Is There Any Other Way, panel moderator, Utah State Bar and Utah State Bar Dispute Resolution Section, Salt Lake City, Utah, including Clark Fetzer, Adam Mow and Benjamin Lieberman, June 21, 2017. Speaker: Avoiding Malpractice Claims as a Tax Practitioner, invited to present to the Utah State Bar Tax Section, Salt Lake City, Utah, May 31, 2017. Speaker: “You Call that an Apology?” Identifying and Utilizing an Effective Apology, invited to present at the UCCR 19th Annual Symposium, Utah Council on Conflict Resolution, Salt Lake City, Utah, May 19, 2017. Speaker: Identifying and Utilizing an Effective Apology, invited to present to the Mediation Techniques and Practices course, Center for Conflict Resolution (Spring Semester 2017), Brigham Young University, Provo, Utah, April 6, 2017. Speaker: How to Identify and Utilize an Effective Apology, invited to present to the Basic Mediation course (Fall Semester 2016), J. Reuben Clark Law School, Provo, Utah, November 2, 2016. Speaker: Connecting Cultures, Keynote Speaker, Utah Asian Chamber of Commerce 11th Annual Scholarship and Awards Gala 2016, Salt Lake City, Utah, May 7, 2016. Speaker: Stepping too Far: When Paralegals Cross Ethical Lines, invited to present for Utah Paralegal Association, Salt Lake City, Utah, October 9, 2015. Speaker: “You Call that an Apology?” Using the Double-Edged Sword Effectively, invited to present for Utah State Bar Dispute Resolution Section and UCCR CLE, Salt Lake City, Utah, September 16, 2015. Speaker: Behind Closed Doors: An Insider’s View of the Rise of Mediation, invited to co-present, American Bar Association 2015 Convention, Chicago, Illinois, including Karin S. Hobbs and Michael J. Leech, July 31. 2015. Speaker: Avoiding Legal Malpractice: Avoiding Professional & Ethical Pitfalls, panel moderator, Utah State Bar and Utah State Bar Dispute Resolution Section, Salt Lake City, Utah, including Keith Call, George Burbidge II and Robert Gilchrist, June 17, 2015. Speaker: Clash of Cultures: How We Manage Personal Conflicts and Why, invited to present to the Utah Chapter of the National Federation of Filipino American Association (NaFFAA), Salt Lake City, Utah, April 18, 2015. Speaker: Dirty Litigation Tactics: How to Deal with the “Rambo” Litigator: Identifying the “Rambo” Litigator, invited to present by National Business Institute (NBI), Salt Lake City, Utah, April 15, 2015. Speaker: Dirty Litigation Tactics: How to Deal with the “Rambo” Litigator: Hidden Agendas: Why Does “Rambo” Exist?, invited to present by National Business Institute (NBI), Salt Lake City, Utah, April 15, 2015. Speaker: What Goes on Behind Closed Doors in Mediation, invited to co-present for the Utah State Bar Spring Convention, St. George, Utah, March 13, 2015. Speaker: “Effectively Representing Clients in Mediation with Civility and Professionalism,” panel moderator, ADR Academy, Utah State Bar Dispute Resolution Section, Salt Lake City, 2014. Co-Presenter: “What Goes on Behind Closed Doors in Mediation,” Utah State Bar Summer Convention, 2014. Speaker: “Civility in Negotiation and Mediation,” Utah State Bar Dispute Resolution Section/UCCR Annual Ethics Seminar, 2014. Author: “Don’t Lose the Trial Before It Begins: Evaluate Your Case,” DRI (The Voice of the Defense): 20 Trials and Tribulations 2 (Spring 2014). Author: “Why are so Many Attorneys Bad at Mediation? And How Can the Mediator Help?,” Utah State Bar Dispute Resolution Section, October 20, 2014, available here. Speaker: “Tools to Success in Mediation,” Solo, Small Firm, and Rural Practice Section of the Utah State Bar, 2014. Speaker, “Communication Theory and Skills,” Institute of Advanced Mediation & Problem Solving, 2013. Author, "Violence Against the Iowa Legal Profession: Results of a 2013 Survey Indicate a Significant Percentage of Attorneys in Iowa have and do Face Threats and Violence Related to Their Practice of Law," 73 IOWA LAWYER 8, Sept/Oct 2013. Speaker, “Handling ‘Rambo’ Litigators in Utah: Ethics and Professionalism,” National Business Institute, 2012. Author, “Where Many Litigators Still Fear to Tread: Adapting to Mediation,” 25 Utah Bar J. 6, Nov/Dec 2012. Author, “Violence Against the Wyoming Legal Profession: Results of 2012 Survey,” 35-OCT Wyo. Law. 38 (2012). Speaker: “Real World Conflict Resolution and Communication Effectiveness: Pitfalls on Dealing Poorly,” Utah State Bar, 2012. Author, “Violence Against the Nevada Legal Profession: Results of the 2012 Survey,” available here. Speaker, “Uncivil Negotiations: How Contentious Tactics Harm the Legal Practice,” Idaho Bar Association, 2011. Speaker, “Foreclosure: Legal and Tax Issues, Resources for Recovery After Foreclosure & Updates,” Federal Reserve Bank of San Francisco, 2011. Speaker, “Why Are Lawyers Such Lousy Negotiators?,” Utah State Bar Spring Convention, 2011. Author, “Ellis v. Estate of Ellis: The Unequivocal Death of Interspousal Immunity in Utah,” 21 Utah Bar J. 2, Mar/Apr 2008.